Instead of “light ditties,” Hoyer often addresses current issues of social justice. 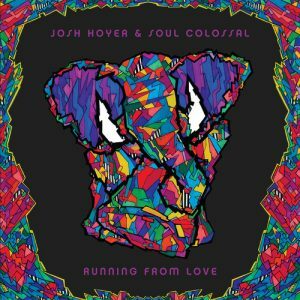 For example, the title song of Josh Hoyer & Soul Colossal’s 2016 release Running From Love on Silver Street Records includes the line, “I wonder if your hate keeps you up at night.” When Hoyer penned the song, the epidemic killings of black people by law enforcement officers were much on his mind. “And Trump was starting to spout his nonsense, too,” Hoyer recalls. In addition to the usual lengthy tours to support the release and being featured at several great festivals, Hoyer & Soul Colossal opened twice for the Legendary Muscle Shoals Revue. “They’ve written some of the best soul music ever made,” he says.